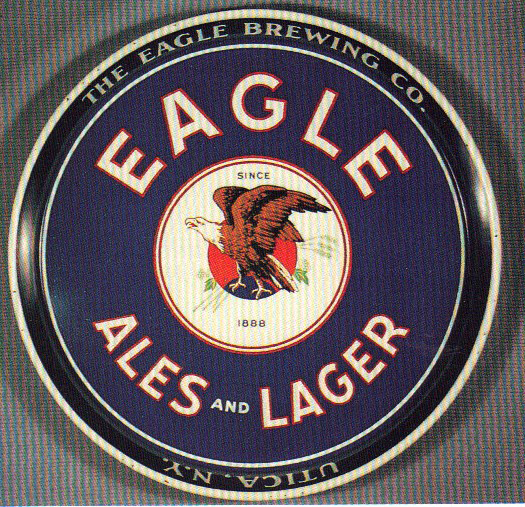 Serving Tray for Eagle Ales and Lager from The Eagle Brewing Company out of Utica, New York. A company symbol sits in the center being a Eagle. This tray dates to the 1930s and is a 12″ round produced by the American Can Co.